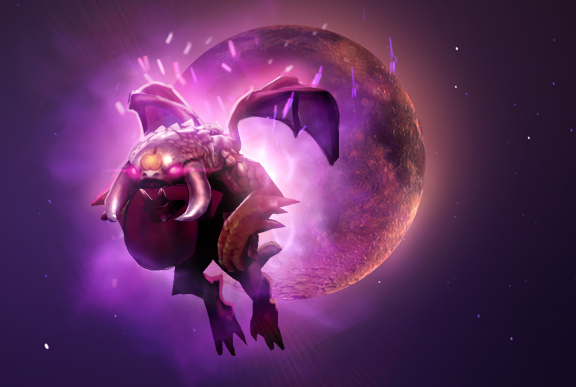 Band together in this free event to help defend Selemene’s temple against the advancing Dark Moon Horde and reap the rewards of the Goddess’ favor, including the chance to receive an implausibly indescribably-rare Immortal Dark Moon Baby Roshan courier of peerless origin. Available to play through Monday, February 6, join the Dark Moon queue and work together with your team to defend against waves of loathsome shades creeping towards the temple. Survive the evolving assaults to earn special event points, then redeem your points for increasing Dark Moon Rewards. With a Daily Bonus and multiplier available to boost your score, the only limit to earning additional rewards is your devotion to the cause. For millennia, the warriors of the Nightsilver Woods have stood vigilant against vile forces intent on the advent of a Dark Moon, earning both title and divine charge in sacred defense of the Goddess Selemene. But now, as the night of the new moon falls, Selemene’s chosen lie helpless behind her temple walls, victims of an arcane slumber that has left the temple grounds undefended. With Selemene’s influence at its weakest, and twisted shades of the familiar creeping across her domain, the Moon Goddess beckons five new protectors to stand in the stead of her champions against the corruption of the Dark Moon Horde. Will you be one to answer the hallowed call?